What can I do about Lower Back Pain? Back pain is a prevalent condition for adults. In fact, it is likely that 80% of Americans will suffer from back pain sometime in their lives according to the American Chiropractic Association (ACA). Often home remedies can alleviate the pain through some simple methods, but there is a point where you are advised to seek help from an expert pain specialist. When you initially feel lower back pain, there may not be a need to seek out a doctor specialist. Try these home remedies first, for your pain. Stop the activity that caused the pain. Take over the counter pain medication and a muscle relaxant. Use cold packs to reduce the swelling. Try gentle stretches to relax any tense muscles and return to normal activity level as soon as possible. Use over the counter medicated rubs for pain relief. Try switching shoes to ones with a lower heel. This is often a wise decision for women who wear high heels every day. Get your daily dose of good sleep. Check out your posture where you sit and work. Make changes if the chair you are using isn’t good for your posture. Try to reduce any stress in your life. Home remedies are often useful for most individuals, but there are times when it is critical that you seek help from a doctor specialist for lower back pain. If you have acute pain from a blow or fall. A pain doctor in New York or pain doctor in New Jersey will check to see if you have suffered a fracture in your spine. That condition requires immediate medical assistance. If you have any tingling in your body, especially in your legs, arms and fingers, you require expert help from a pain treatment center. You may have pinched nerves. If you are constipated or suffer from diarrhea. Doctor of Osteopathic Medicine: This doctor specialist for lower back pain concentrates on the neuro-musculoskeletal system. (nerves, muscles, bones, and joints). If your primary care physician has requested that you visit them, they will first of all work on an accurate diagnosis of the problem before recommending any medical care. Treatments often involve osteopathic manipulative therapy. Diagnosis and treatment go hand in hand. Physical Therapist: Often back pain is caused by a muscle pulling on the spine. One way to relieve the pressure is through the right exercises. Your physical therapist will consult with your doctor specialists about your lower back pain and then teach you the exercises to reduce the tension. It is advisable to continue these exercises at home. In addition the therapists can perform deep massage, ultrasound, and electrical stimulation to relax tense muscles. Your therapist will also advise you about ways to perform everyday activities without straining your back muscles. Occupational Therapist: These therapists specialize in preparation and adaptation for every -day living at home and at work. They may develop special programs to strengthen your back muscles, so you can carry out everyday activities. They will also assess your living space and job environment to make recommendations to alleviate any areas of stress. They may recommend a back brace to support your back if you need to lift heavy objects. Also, they will provide family members with guidelines to help you recover from back pain. Chiropractor: A chiropractor can be your primary care doctor specialist to treat your back pain. He or she will manipulate your spine to make sure that all of the bones are aligned correctly. Acupuncturist: This is an ancient medical art in which small thin needles are inserted into specific areas of the body. It is believed that these needles stimulate chemicals to block pain. There is relatively no pain in this procedure. 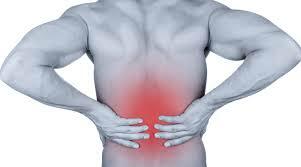 Psychiatrist: Sometimes back pain is a result of tension that is caused by ongoing stress in your life. Often a psychiatrist can work with a patient to reduce the stress which alleviates tense muscles causing the back pain. Psychologist: These doctors are trained to help you identify stressors in your life. Some take additional courses to prepare them for treating chronic pain. Often pain can cause depression. A psychologist can detect this condition and assist you with some strategies to deal with your pain, so you can get back on course for living a full life again. Rheumatologist: These medical professionals treat musculoskeletal diseases such as osteoarthritis, rheumatoid arthritis, fibromyalgia, osteoporosis, and tendonitis. They often consult with other medical professionals to reach an accurate diagnosis. Injections: Several different medical care pain physicians can administer injections to relieve pain or reduce the swelling that is putting pressure on a nerve. Orthopedic Surgeons: These medical specialists perform spine surgery to correct herniated discs or any other degenerative disc diseases. They also treat issues caused by spinal disorders, arthritis, sports injuries, trauma, and fractures. Lower back pain can be treated through home remedies and by pain doctors in NY or pain doctors in NJ. Start with non-intrusive methods to reduce the pain. Most people can alleviate lower back pain themselves. But there are definite signs that indicate you need to seek the help of a doctor specialist for your pain. Check out the services of the medical professionals at your local pain treatment clinics.